I have set up my first video on You Tube! Let me know if this helps you to get started. I worked this afghan in Tunisian crochet in knit style so it is thick and heavy. It makes a dramatic decorative throw or sit-upon. 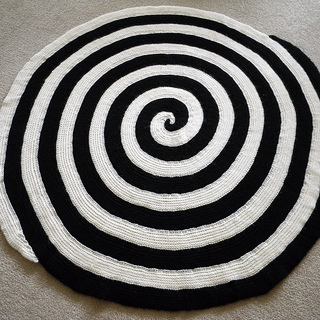 In different colors it would be nice for a baby stroller blanket or floor blanket. This type of spiral is also called an Archimedes spiral, very classical. 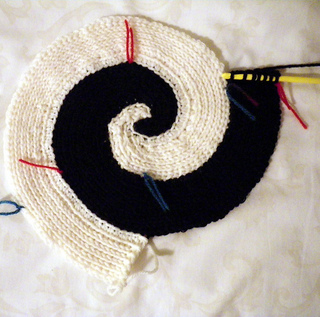 The beginning spiral is tricky but once it is done, the rounds are quite boring.